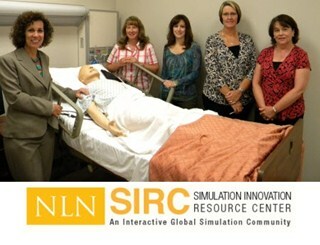 The opportunities for research in simulation are enormous. The technology is new and developing so rapidly that many people are busy writing simulations or learning how to use equipment rather than researching. This course provides guidance through the various steps in the research process, discusses data collection tools, single and multisite studies. Many suggestions and ideas for research studies are provided. 1. Discuss the importance of educational research with simulation. 2. Identify at least three ideas for research studies with simulation. 3. Design a basic simulation research study. Suzan (Suzie) Kardong-Edgren PhD, RN, ANEF, CHSE, FAAN, is a professor and Director of the Regional Research and Innovation in Simulation Education (RISE) Center at Robert Morris University in Moon Township, PA. She is an internationally known simulation researcher, educator, and the Editor-in-Chief of Clinical Simulation in Nursing, the flagship journal for the International Nursing Association of Clinical Simulation and Learning (INACSL). Dr. Edgren is the Vice President for Research for the INACSL. She was awarded the Excellence in Educational Research award by the National League for Nursing (NLN) in 2012 and the prestigious Debra Spunt Endowed Lectureship in simulation by the NLN in 2010. Dr. Edgren also teaches in the MS in Medical Simulation program at the Drexel College of Medicine.